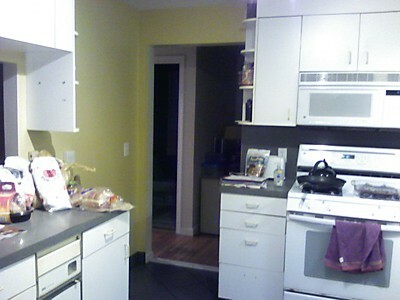 BEFORE: This crowded kitchen had lots of cabinetry and newer appliances, but the homeowners were ready for a major renovation to make better use of the space. Also, the sink under the window is about to get an upgrade. The wall at left that had an open pass through, was opened up completely in the renovation to connect it with the next room. 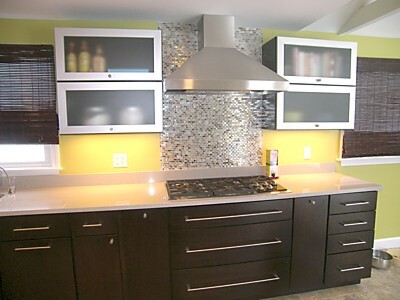 The stove was moved to a new location on an outside wall to allow for proper ventilation. 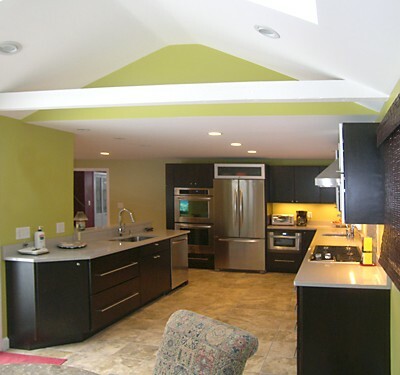 AFTER - This split level house renovation merged 3 rooms into one large open kitchen. The cathedral ceiling further opens up the space and brings in natural light through skylights. The non-bearing interior wall that previously had a pass through has now been opened to connect the spaces. 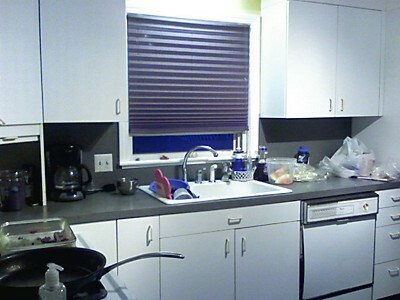 The main large sink and dishwasher have relocated to this central position. 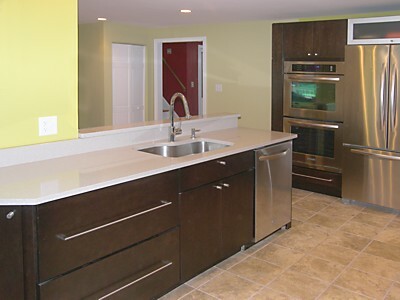 Two wall ovens provide more options than the single stove with oven appliance they replaced. 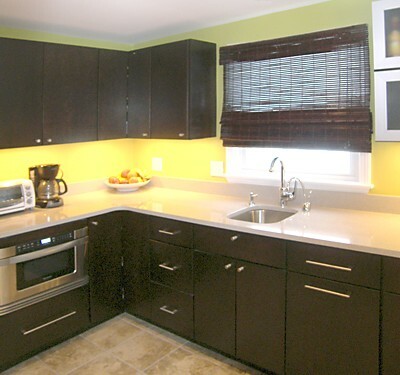 The sink under the window is now smaller, the corner that was previously closed with an appliance garage is now open and a below the counter drawer-style microwave has been installed along with the new cabinetry.